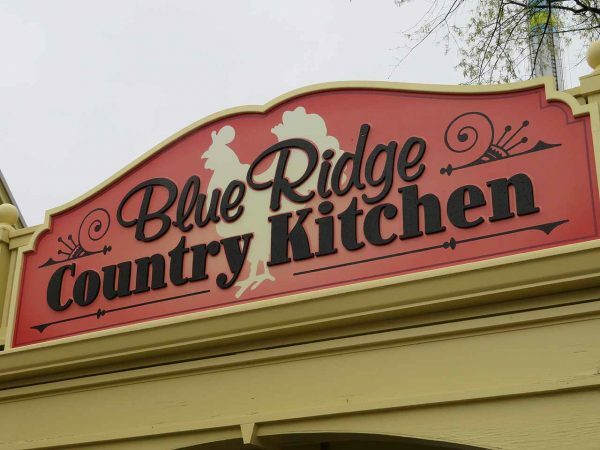 If you look at a calendar, you’ll see that Easter isn’t for a few more weeks, but it’s clear that Carowinds didn’t get the memo when constructing their all-new Blue Ridge Junction. The new seven acre area is full of “Easter Eggs” and nods to other parks in the Cedar Fair chain throughout the heavily themed area. 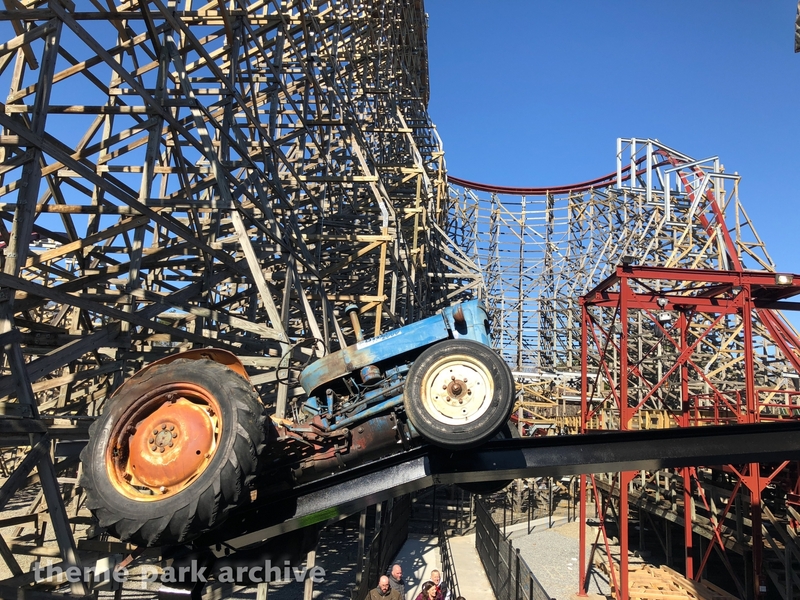 This has seemed to be a trend with Cedar Fair’s theming design chain-wide in the recent past, and was evidenced in last year’s Copperhead Strike Construction, as well as hints for new attractions at multiple parks in the chain. 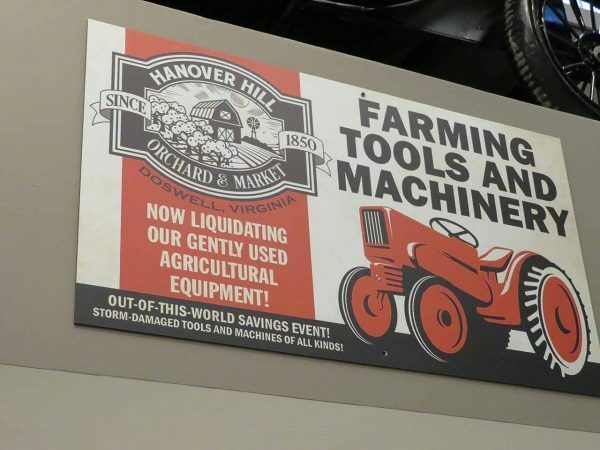 While we’re not total conspiracy theorists here at Coaster101, it’s fun to take a look at some of these “Easter Eggs,” and break them down in a way that might not be noticed by the casual guest! 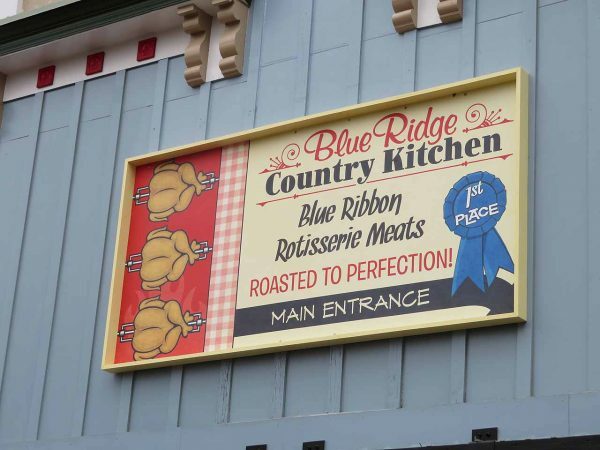 One of the areas most populated by “Easter eggs” is the interior of the new “Blue Ridge Country Kitchen” restaurant. 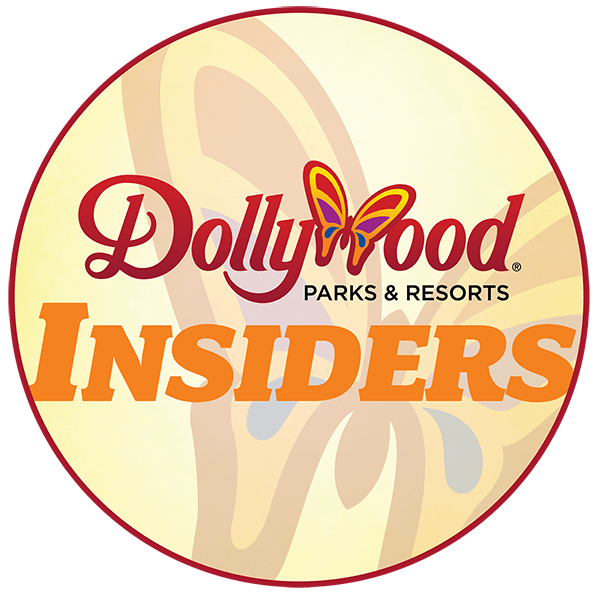 Formerly known as “Wings,” the restaurant has received an all-new (author’s note: Delicious) menu for this season, and the interior of the restaurant has been redone as well to feature more indoor seating. 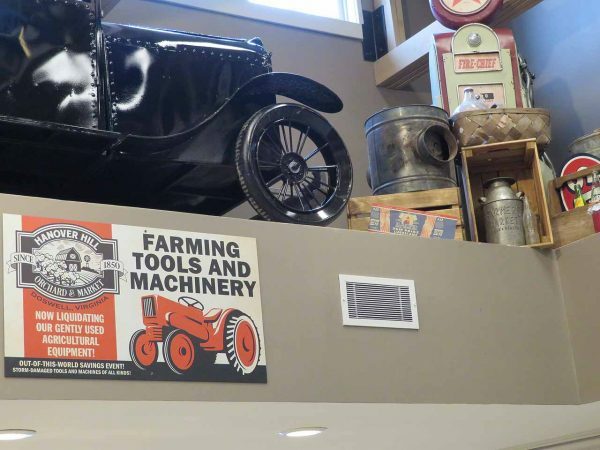 However, if you look around the walls of the new dining establishment, mixed in with the classic generic gas pumps and car-themed decorations are some nods to attractions across the Cedar Fair chain! 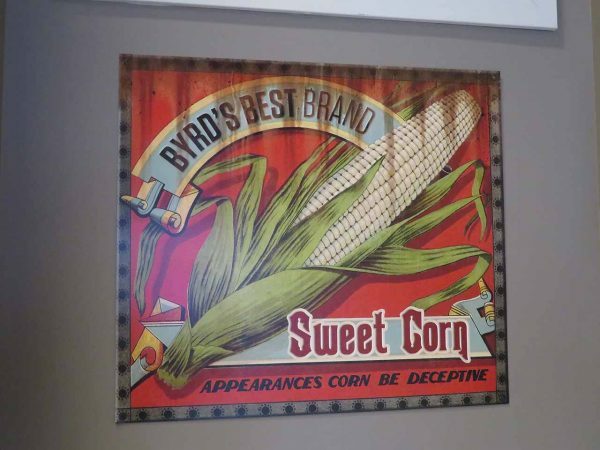 With Byrd farm just across the midway, of course it would make sense to see an ad for Byrd’s Best Corn at Blue Ridge Country Kitchen. 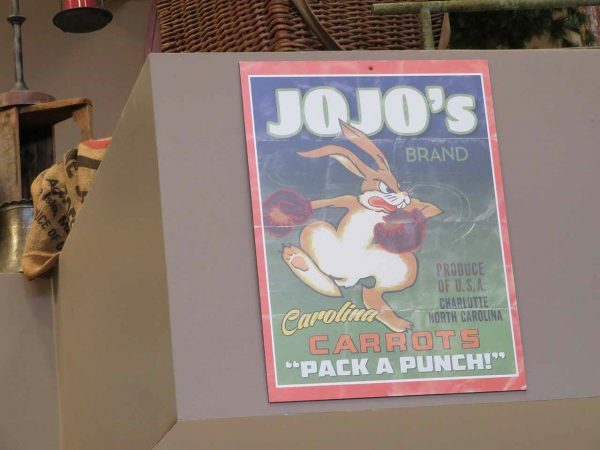 What I hadn’t seen before was the advertisement for JoJo’s Brand Carrots, which “pack a punch,” just like the JoJo Roll on the adjacent Copperhead Strike does. 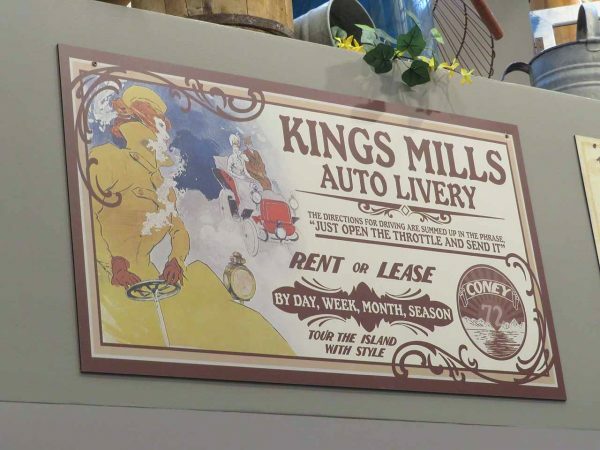 The Kings Mills Auto livery also has an advertisement present, presumably a tie-in to Kings Mills Antique Autos, which debut at Kings Island in 2019. The reference in the bottom corner of “Coney 72” likely refers to Kings Island’s opening year of 1972, and could refer to the park’s Coney Mall area, or the nearby Coney Island amusement park, which was owned by former owners of Kings Island, Taft Broadcasting. “Tour the Island with Style” could be a Kings Island reference. 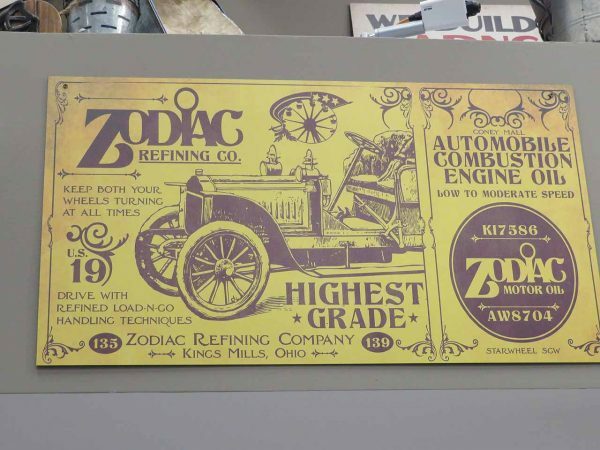 There are also multiple advertisements and labels for Zodiac Motor Oil and the Zodiac Refining Company. 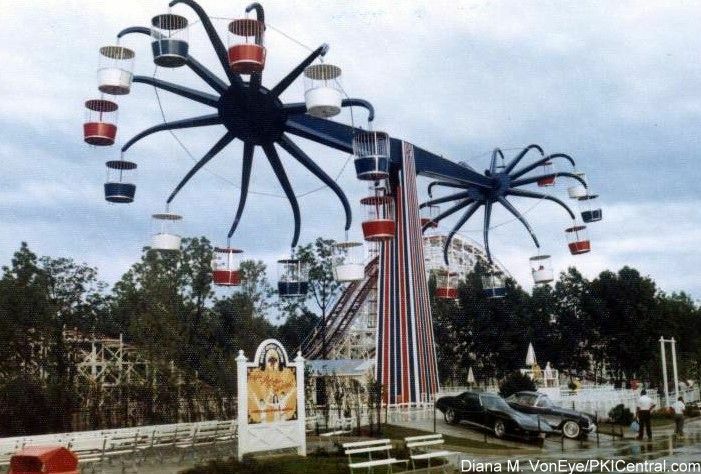 Zodiac was an Intamin double ferris wheel that operated at Kings Island from 1975-1986. The references in the first photo of “keep both your wheels turning at all times” is a reference to the dual-wheel operation of Zodiac. 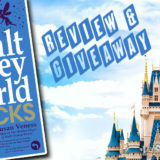 In the logo to the right hand side of this advertisement is KI7586 (operated at Kings Island from 1975-1986) and AW8704. Zodiac was relocated to Taft Broadcasting park Australia’s Wonderland, where it operated from 1987-2004, when the park closed. 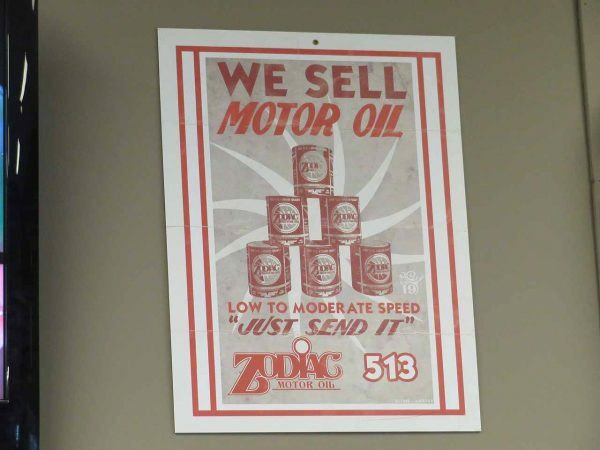 In the second photo, the number “513” is the area code for Cincinnati, near where Kings Island is located. 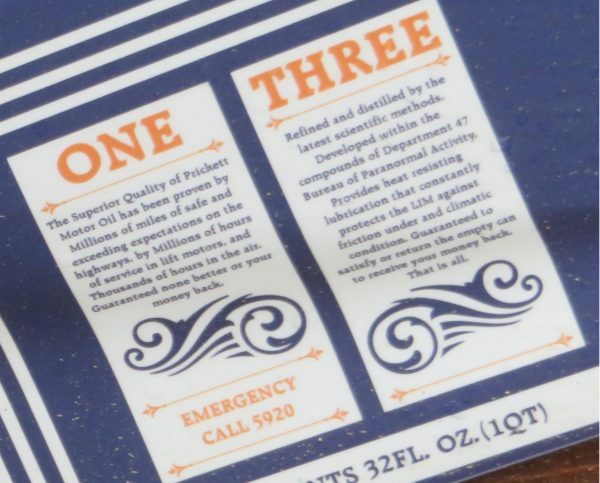 In this label (also on the first image), you can see the Ferris Wheel images. The opening year of 1975 is pictured, and there are mentions of “Sub Zero” Winterfest Temperatures in the small print. 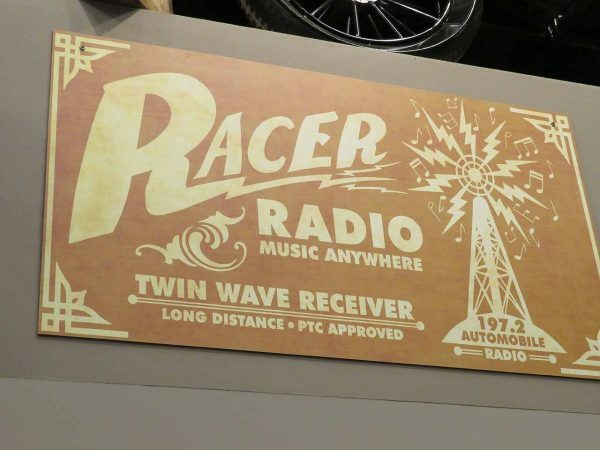 This ad for Racer Radio is another Kings Island reference. Twin wave receiver denotes the twin tracks, 197.2 is a reference to 1972 when the coaster opened, and “PTC approved” refers to Philadelphia Toboggan Coasters, Inc., who built the Racer at Kings Island. 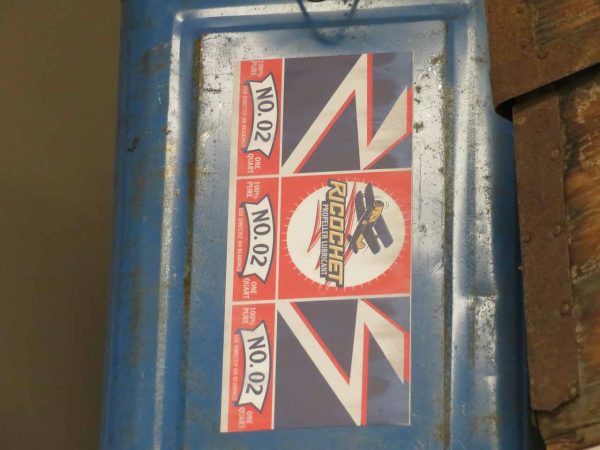 Hidden on a crate in a top corner is an ad for Racer Skid Brake lubricant, which also refers to the classic racing coaster at Kings Island. 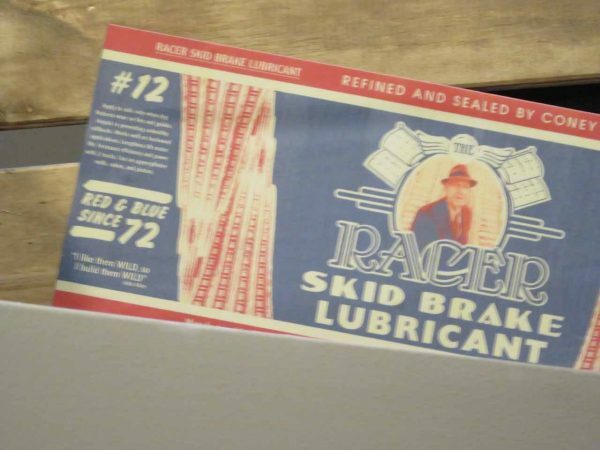 “Red and Blue Since 72” notes not only the opening year, but the sides of the roller coaster. 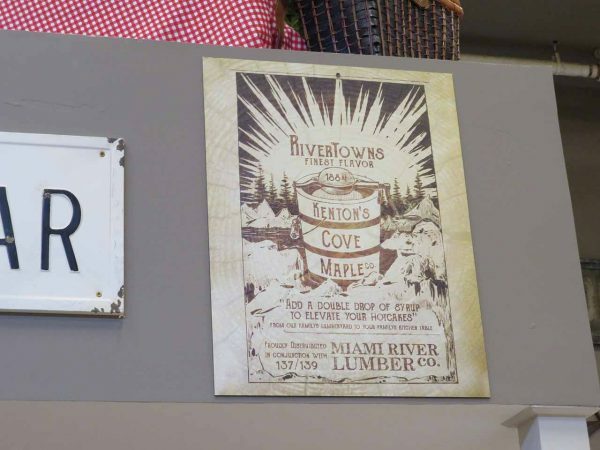 A reference to Kings Island’s Rivertown, and 1884, the year that Switchback Railway opened at the New York Coney Island, the first roller coaster designed as an amusment ride. 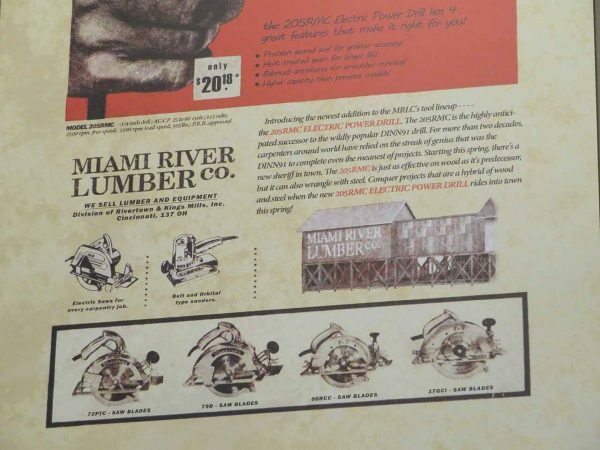 There’s also references to the Miami River Lumber Co, the fictional Lumber Co. depicted in Mystic Timbers. Kenton’s Cove is a reference to the Kenton’s Cove Keelboat Canal, which opened in 1973. It was an Arrow Hyrdoflume. It was replaced by Tomb Raider: The Ride in 2002. 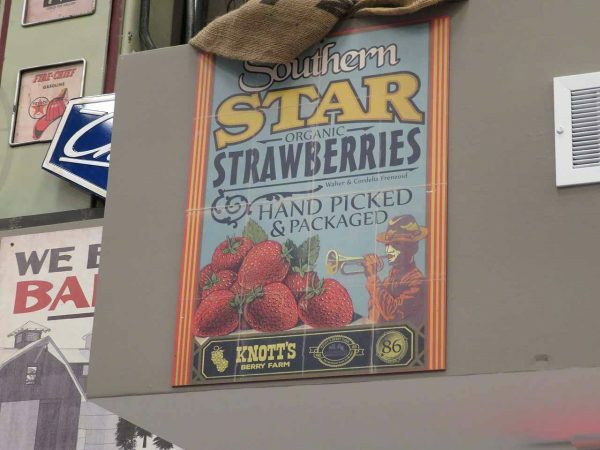 The Southern Star organic Strawberries are a nod to Carowinds’ Intamin Looping Starship, which opened in 1986. 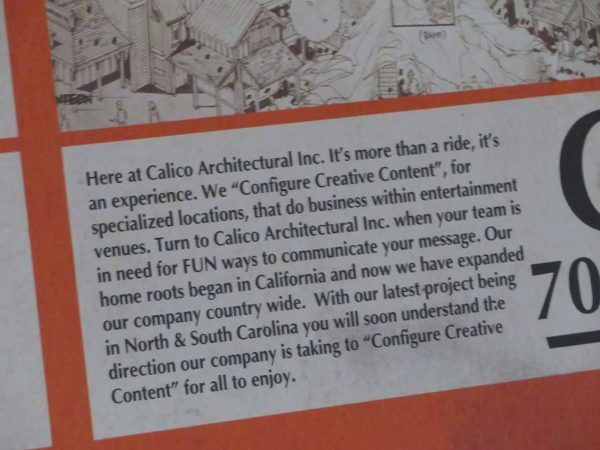 There’s also a mention of fellow Cedar Fair park Knott’s Berry Farm. Carowinds’ MACK Wild Mouse, Ricochet, gets a little nod of its own, complete with its opening year, 2002. 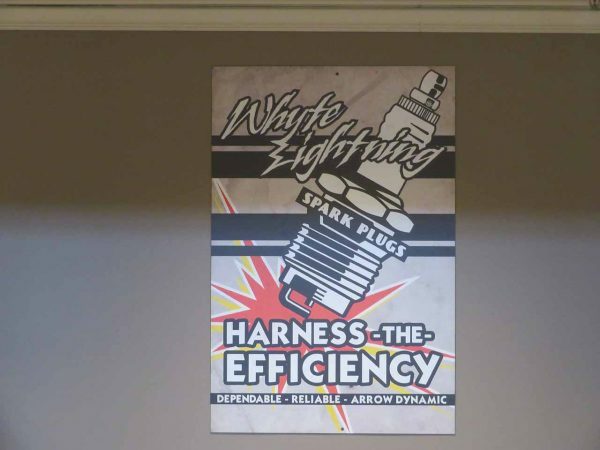 This one was a sign that appeared on the construction walls for Copperhead Strike. 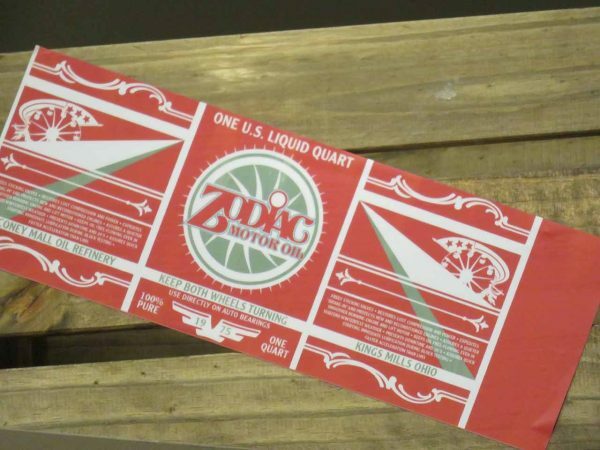 It’s a nod to White Lightnin’, Carowinds’ first launch coaster, which operated at the park from 1977-1988. 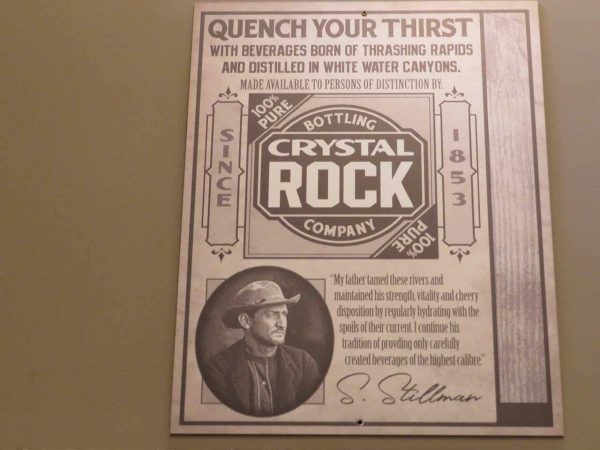 Crystal Rock likely refers to the Crystal Rock Cafe at Cedar Point (which itself is a throwback to the Crystal Rock Palace on the grounds of Cedar Point). 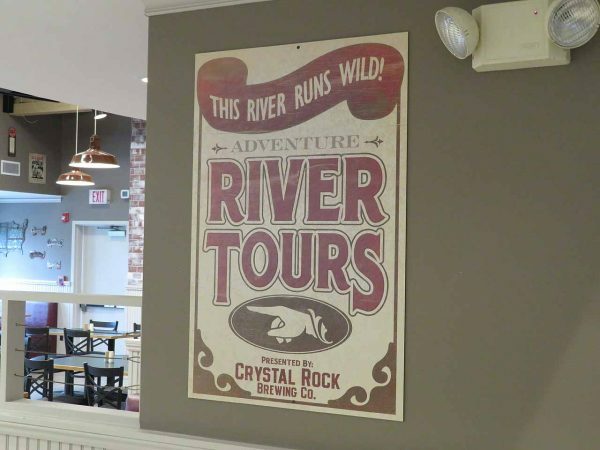 The beverages are distilled in White Water Canyon, which could be referencing any of the Intamin rapids rides at Canada’s Wonderland, Kings Island, or Kings Dominion. 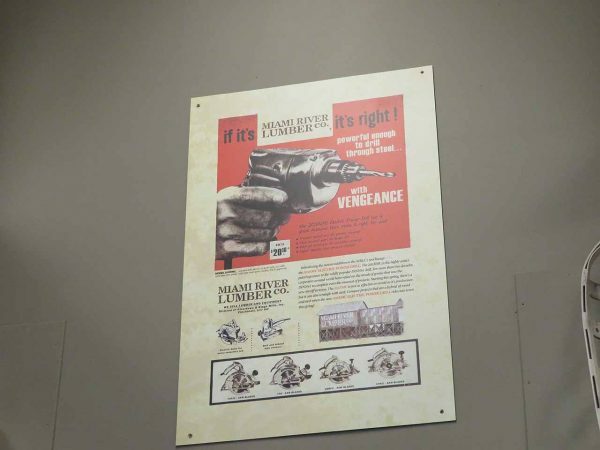 S. Stillman could refer to Shooter Stillman, as this identical poster can be found in Frontier Town at Cedar Point. The guys over at Wild Gravity Travels have a theory that Stillman could be related to the former Shoot the Rapids attraction at Cedar Point. Really interesting theory, and I’m still trying to determine if the Cedar Fair parks all exist in one deep Pixar-esque universe. 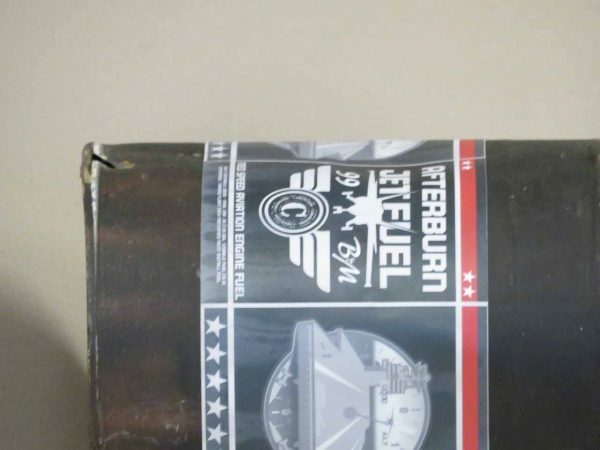 Powerful enough to drill through steel? Only $20.18? 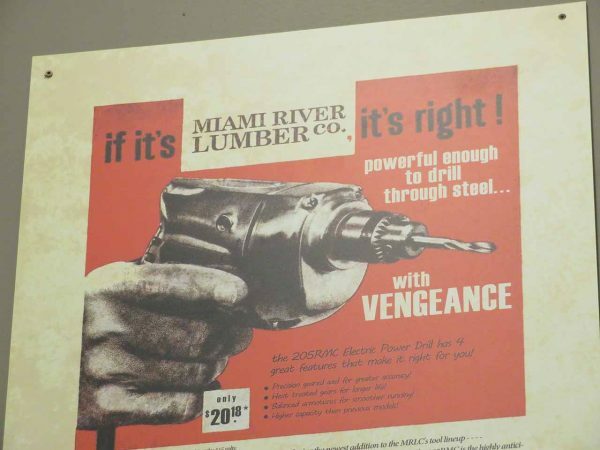 205RMC Electric Power Drill, as the successor to the Dinn91 (Mean Streak). 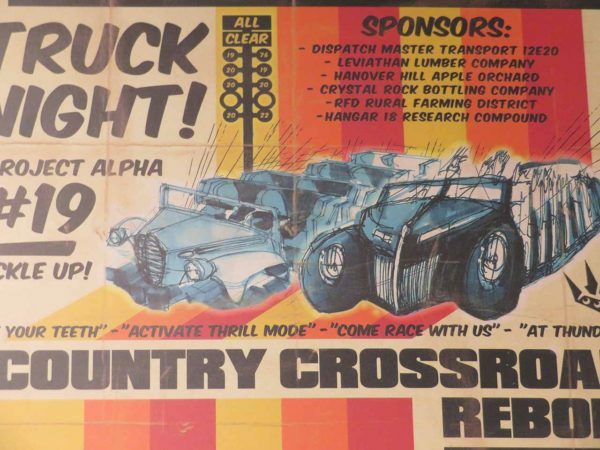 This poster is full of great Steel Vengeance references. 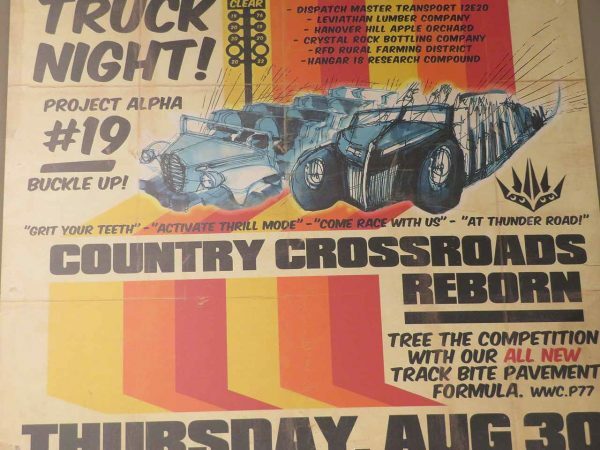 The drills on the bottom of this poster– 72PTC, 79B, 00RCC, and 17GCI — refer to 4 Wooden Coasters at Kings Island — The Racer, The Beast, Son of Beast, and Mystic Timbers, respectively. Also, #whatsintheshed? There was A LOT going on in this poster. 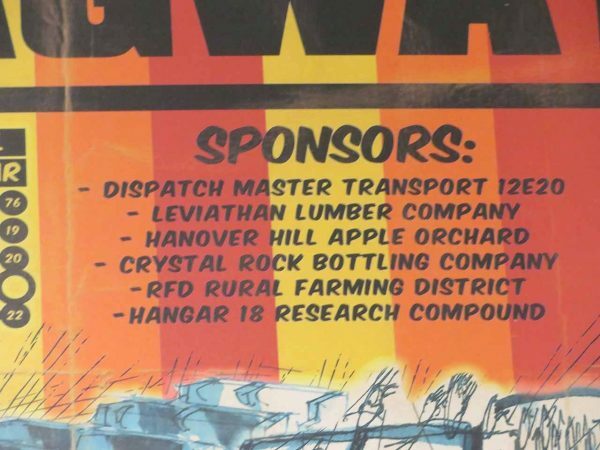 A list of sponsors references Dispatch Master Transport (which I think of as a reference to Disaster Transport, could be a stretch.) Leviathan (Canada’s Wonderland) Lumber Co., Hanover Hill Orchard (Kings Dominion), Crystal Rock Bottling Co (Cedar Point), RFD Rural Farming District (a shoutout to Carolina RFD, which used to be where County Fair/Blue Ridge Junction are currently located), and Hangar 18, which is a reference to Flight of Fear at Kings Dominion or Kings Island. EDIT: Dispatch Master wasn’t a stretch! Thanks @DrewTheIntern! 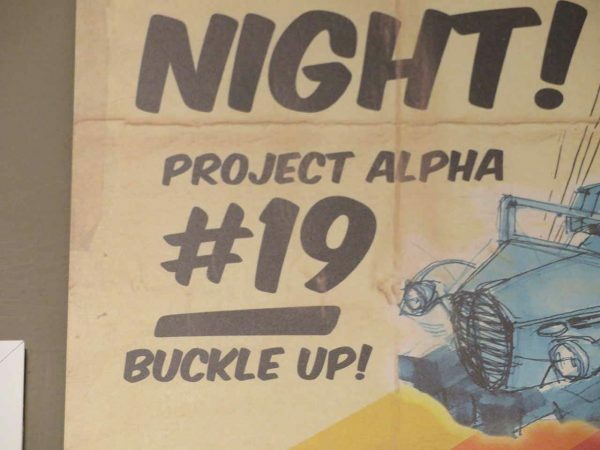 Project Alpha was the code name for Copperhead Strike. 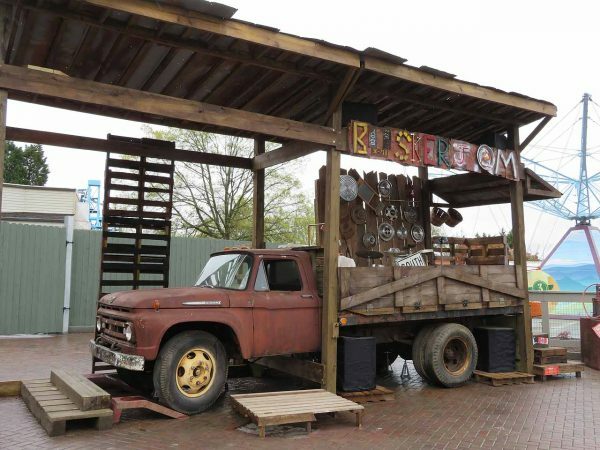 Country Crossroads is a throwback to the area of Carowinds where Afterburn, Plants vs. Zombies, Yo-Yo, Southern Star, and Dodgems are currently located. These hot rods look familar. Almost like the trains for Twisted Timbers and Copperhead Strike! Also, the numbers in the “all clear” sign are 1976, 2019, 2020, and 2022. 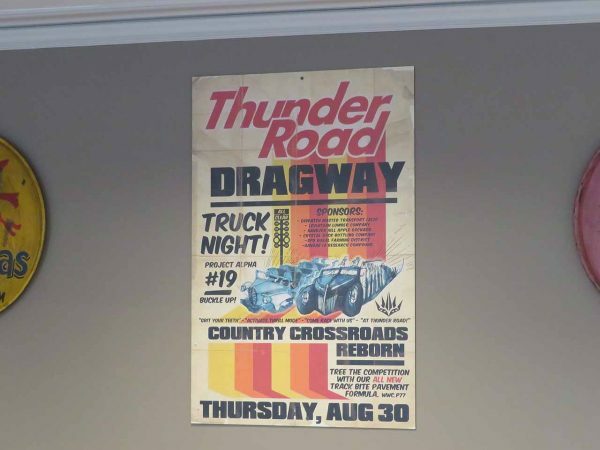 1976 was the year Thunder Road opened at Carowinds. 2019 is obviously Copperhead Strike. Are there more attractions coming in 2020 and 2022? What happens in 2021?! 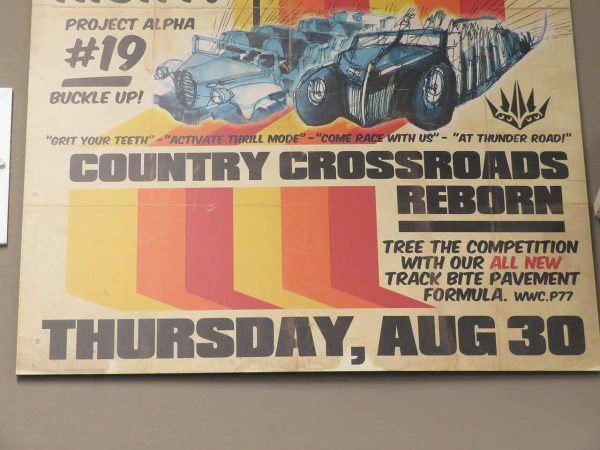 Thursday, August 30 was the day that Copperhead Strike was announced. The last one was in 2012, the next will be in 2029. 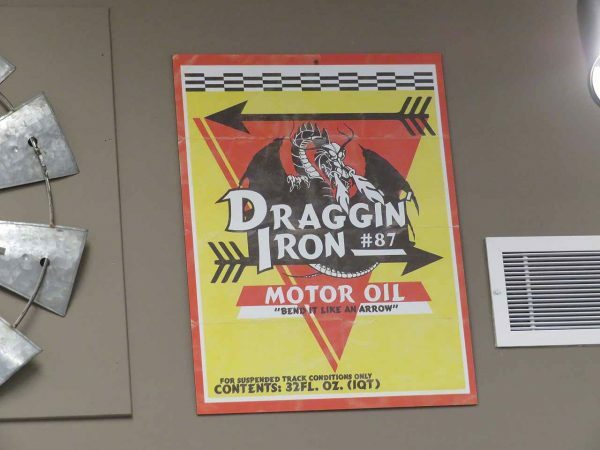 A nod to Cedar Point’s Iron Dragon suspended coaster, referencing Arrow (the ride’s manufacturer) and 1987, the ride’s opening year. 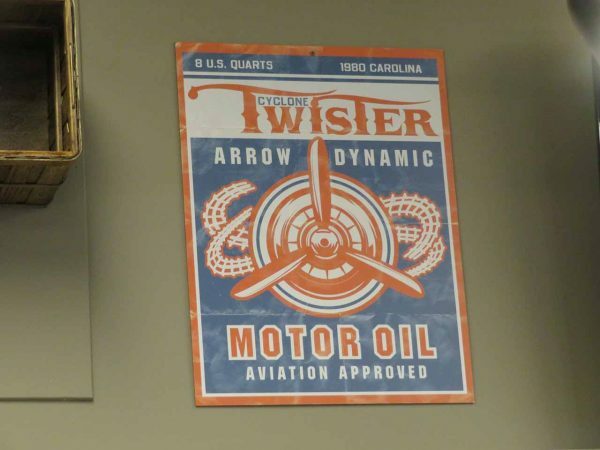 The Arrow Dynamics Carolina Cyclone is referenced here, again with it’s opening year of 1980. This one is also pretty obvious. References 1999 and B&M. 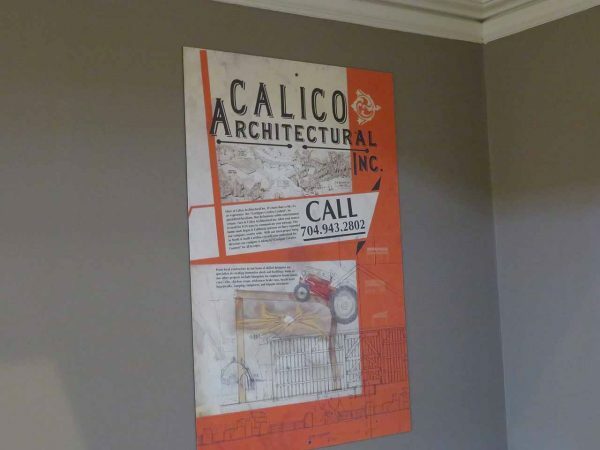 Another sign from the Copperhead Strike Construction fence, it references Calico, the fictional town from Knott’s Berry Farm, the station entrance to Twisted Timbers, and oddly enough, Cedar Fair’s NYSE symbol, FUN. 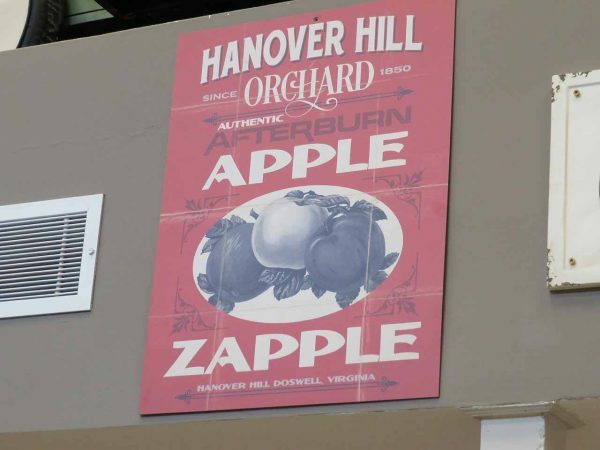 These last two signs had the same style of design, and I’m almost certain they’re Easter Eggs for something that I’ve missed. Not sure exactly what though. If you have ideas, let us know! EDITS: According to Thrilling Moments Photography on Twitter, Peter could be a reference to “Skinny Pete” from The Italian Job, which as most of us know was the original them. 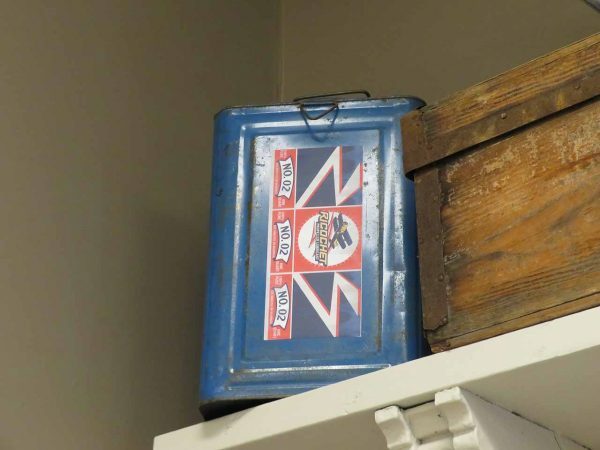 According to @WildcatCoasters, it could be a reference to the Kings Mills Antique Autos at Kings Island. Carowinds’ newest show, Busker Jam, takes place on an outdoor stage in Blue Ridge Junction (it’s a production from JM Music Design!). There are some great “hidden” Easter Eggs on this stage as well. 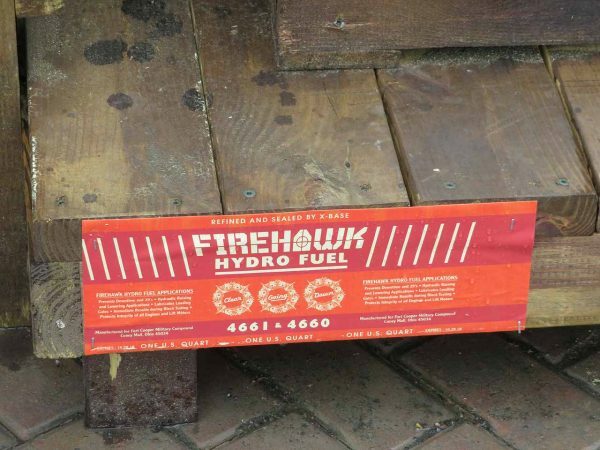 The recently departed Firehawk at Kings Island receives a shoutout in the form of a sticker on the side of the stage. 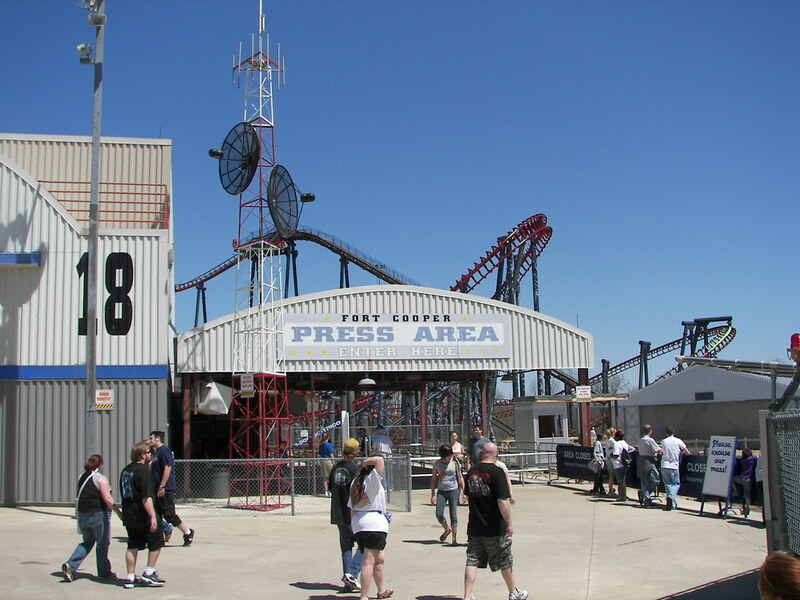 Refined and sealed by X-Base, the ride’s location, and was Manufactured for Fort Cooper Military Compound, where Kings Island’s Flight of Fear is located. 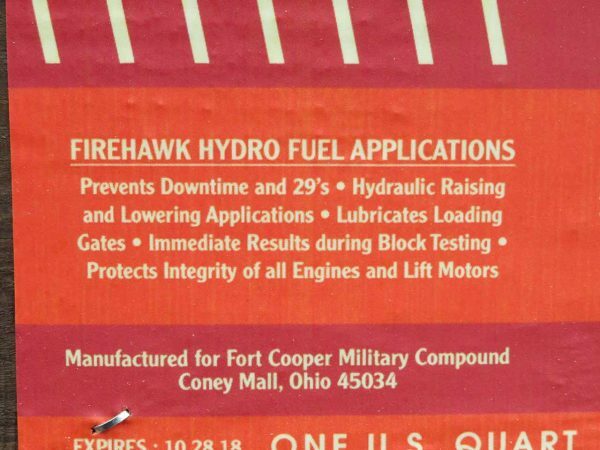 The expiration date is 10/28/18, the final operating day of Firehawk, and the ribbons in the middle of the sticker read “Clear” “Going” “Down,” which it most certainly did this off-season. 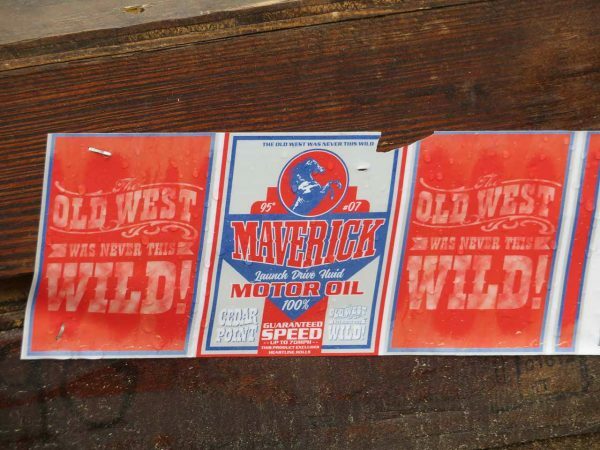 Another easy one, this clearly mentions Maverick at Cedar Point. 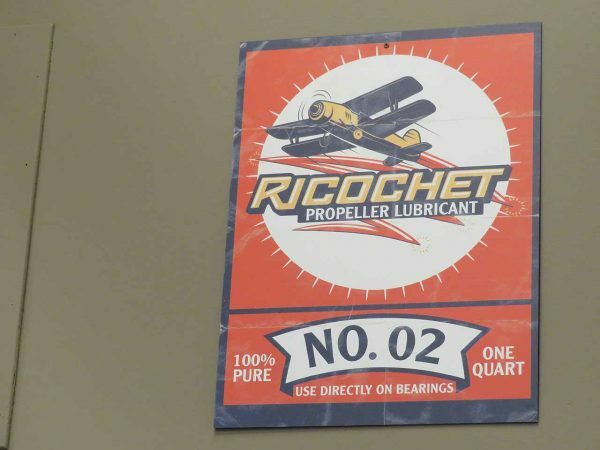 It’s a fun little tease at the bottom that this product excludes “Heartline Rolls.” A heartline roll was part of the original design, and then was removed before the ride opened. 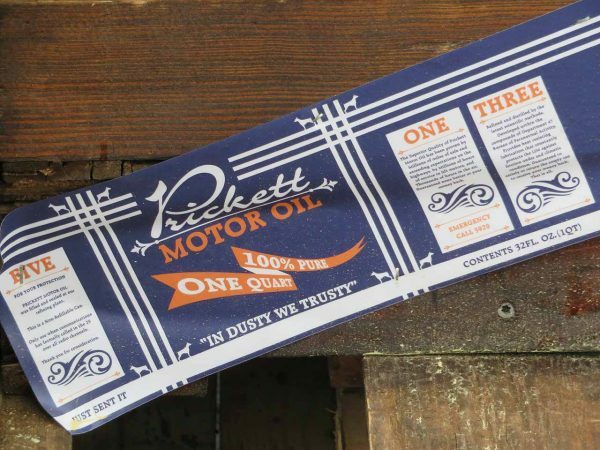 This is a sticker for Pricket Motor Oil. 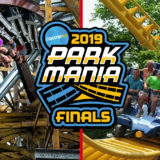 Some googling reveals that Dustin (Mention of Dusty) Prickett is the area manager for ride operations at Kings Island. The “Five” “One” “Three” again is Cincinnati’s Area Code, but there’s some interesting things written on the right hand side. No idea what this is hinting at. I’m sure it’s all coincidence. Or is it? 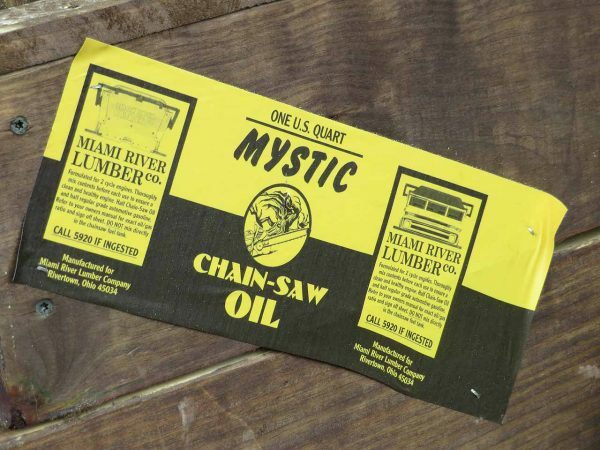 Another label, this one for Mystic Chain-Saw Oil. 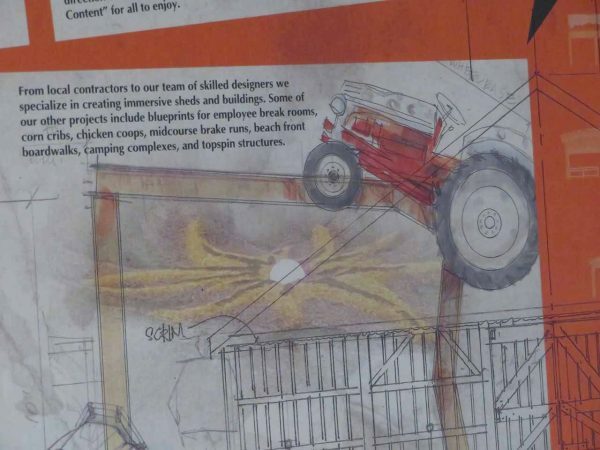 There’s multiple references to Mystic Timbers, between the logo, train image, and name. However, the number 5920 appears again to call in an emergency. Could 5/9/20 (which is a Saturday, mind you) be a significant date for something? Guess we’ll have to see! EDIT: Thanks to reader Heather H. on Facebook who noted that this could be the date of Cedar Point’s 150th Anniversary. 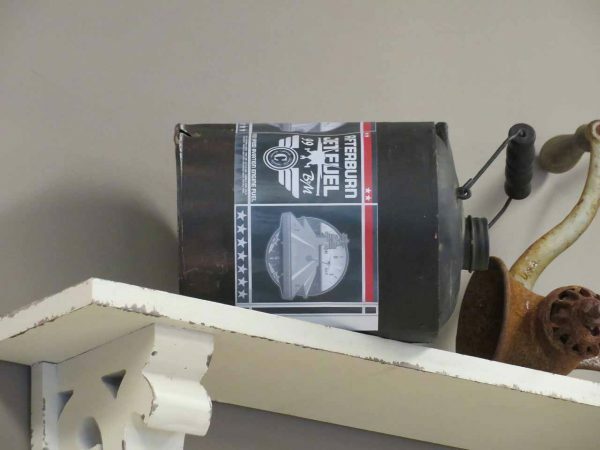 Great write up on the Easter Eggs! 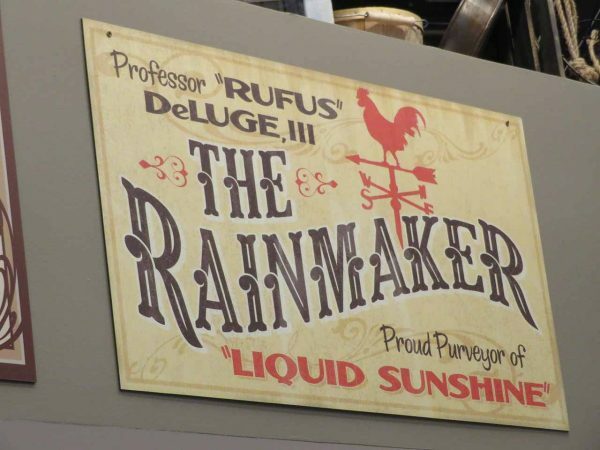 The Rainmaker was a show at the schoolhouse in Carolina RFD in the late 80’s. 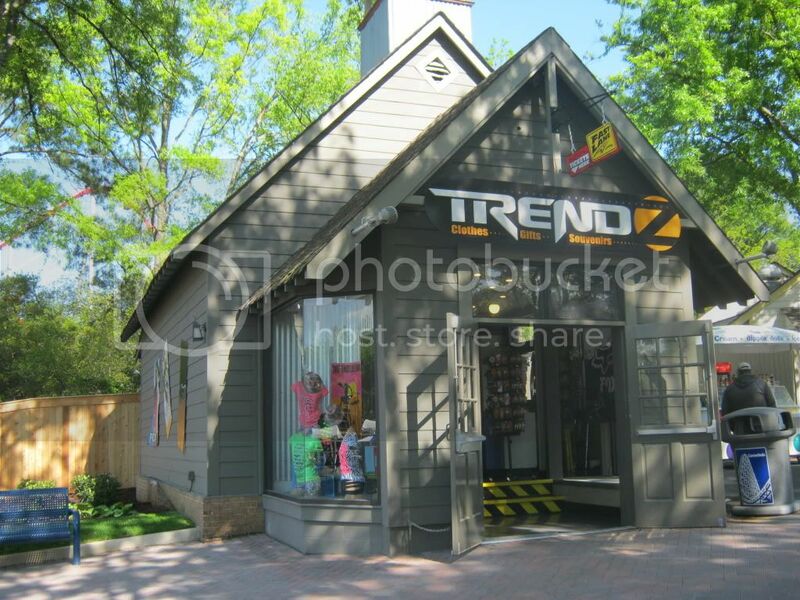 The schoolhouse is now a retail location named Trendz. 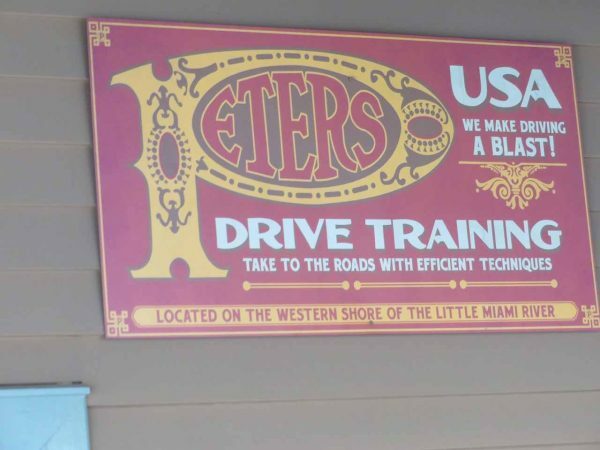 The Peters Drive Training sign has “Located on the western shore of the Little Miami River”. The Little Miami River isn’t far from King’s Island. Also, the Peter’s sign is a reference to the abandoned Peter’s Cartridge Factory on the outskirts of Kings Island. The P is the same one on the smokestack there.